This post has been a long time in coming, mostly because I haven’t been quite sure how to introduce this strange (to some) new subject matter. The truth is, every so often I get tired of either watching/photographing trains, or the continuous drivel that seems to be incessant from some members of the railfan community. So, for a couple months earlier this year I spent a couple days in a major Michigan city ignoring trains completely. Yes, that’s right, there will be no (zero) trains in the next post or two. 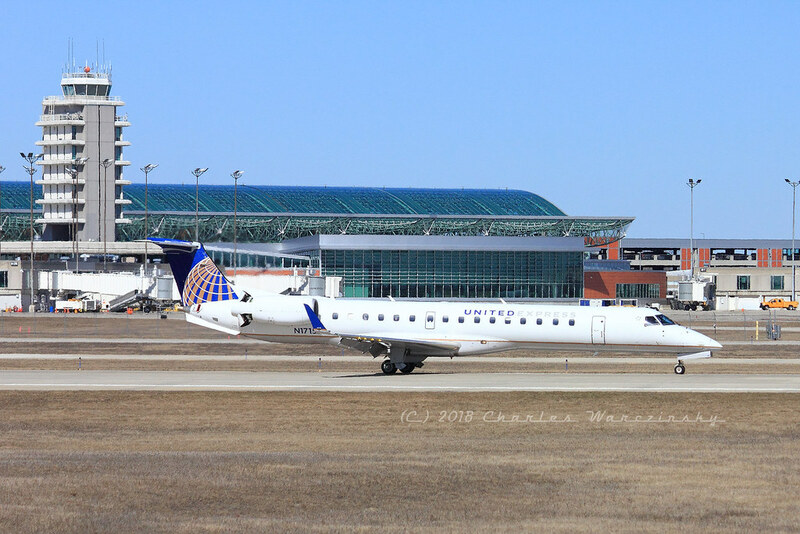 Instead, we’ll be looking at several airplane shots I snapped in the observation area at Kent County’s Gerald R. Ford International Airport. Truth be told, I’ve had an interest in flying for many years. It’s something I mostly keep to myself these days, but I did take some flight training classes a number of years ago, and some of the lessons have stuck with me through the years. In the process of taking those lessons I also got to see the Wisconsin Central in central Wisconsin shortly after Canadian National purchased/merged the road into its system, back when the maroon and gold was still a normal thing, instead of an ultra rare event as it is today. Unfortunately, I wasn’t much of a photographer back then, and the camera I had at the time wasn’t much good for photographing trains from the backseat of a Cessna 172. On the other hand, I did make some pretty good memories, not all of which faded in my bout with Lyme Disease over the past several years. March 10, 2018 found me in the South Bend, Indiana area, attempting to remember where the prime train watching spots are in the area, especially in the city of South Bend itself. As I mentioned in my last post, I’ll post some of the pictures I took that day eventually, but not today. The scary, or perhaps sad, thing was, I was attempting to guide one of the guys in the area I live in now around the area, so he’d be able to find his way back later in the weekend, after I left for home. Although we eventually found a popular spot to sit west of town a couple miles, I wound up heading for home in the middle of the afternoon, partly owing to the fact that home was a good 4 hours away, on a good day. Spending time in the Michiana area is nowhere near the top of things I enjoy doing anymore anyway. Too many bad memories from my college days in that area. On the plus side, having spent the better part of five years living in the Michiana area during the school year, I have several different routes between there and home, and this particular day I chose the route that take me up US-131 to Kalamazoo. The plan was to take I-94 from Kalamazoo to the I-69 interchange just west of Marshall, and I-69 back toward home. However, I missed my exit in Kalamazoo. That’s not a completely bad thing though, as traffic seems to move faster in certain areas on the west side of the state. Dodging trucks on I-94 gets old after a while anyway, so…I got to see some new scenery anyway. One of the neat things I got to see was the infamous 100th Street bridge, which has been repeatedly hit by semi trucks this year. Coincidentally I’d had a discussion just a week or two prior to this about various places in the Grand Rapids area that I didn’t know where they were. In the process of cutting from US-131 to I-96, without going through downtown, I managed to see several of those places firsthand, from the drivers seat of my “station wagon”. I swore to myself that I’d return again soon, to spend a couple hours in this amazing park. And a week later, I was. 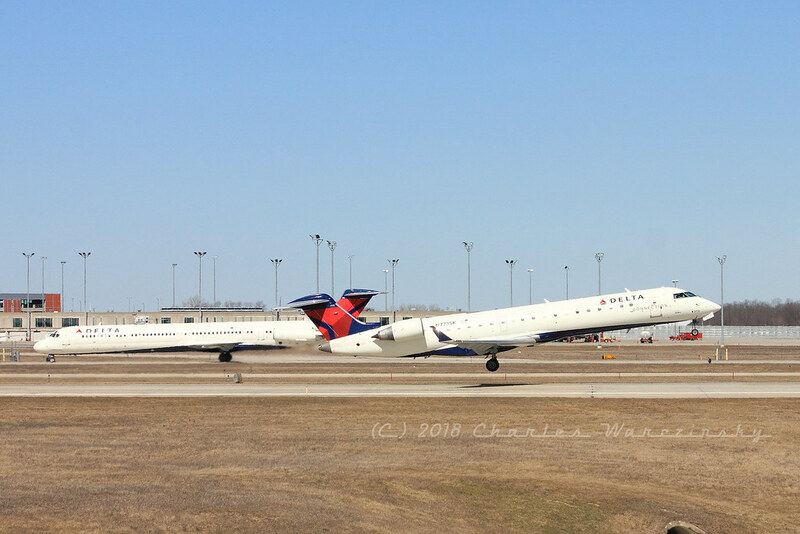 Despite a later-than-anticipated departure, Saturday, March 17, 2018 found me back in the airport observation area, with camera in hand. 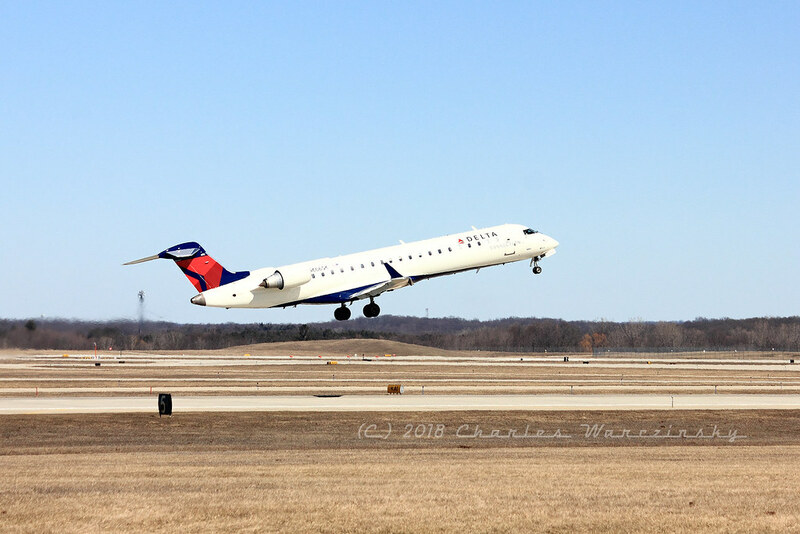 I know most of what I saw is the boring, same old-same old to the folks who live in the Grand Rapids area and go to the observation area all the time, but the concept of being able to take pictures of airplanes taking off and landing was new and different for me. 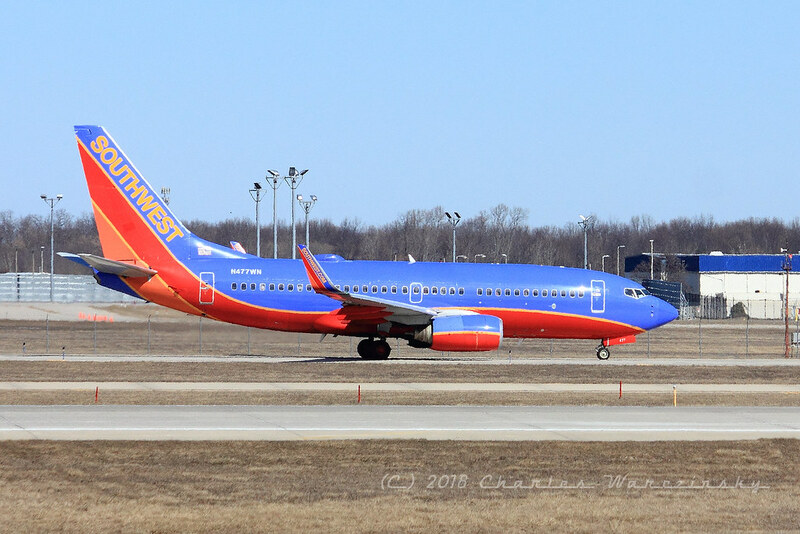 With Spring Break in the air, traffic levels were apparently up as well, and I got to see a number of larger than anticipated aircraft, as well as a number of smaller planes as well. 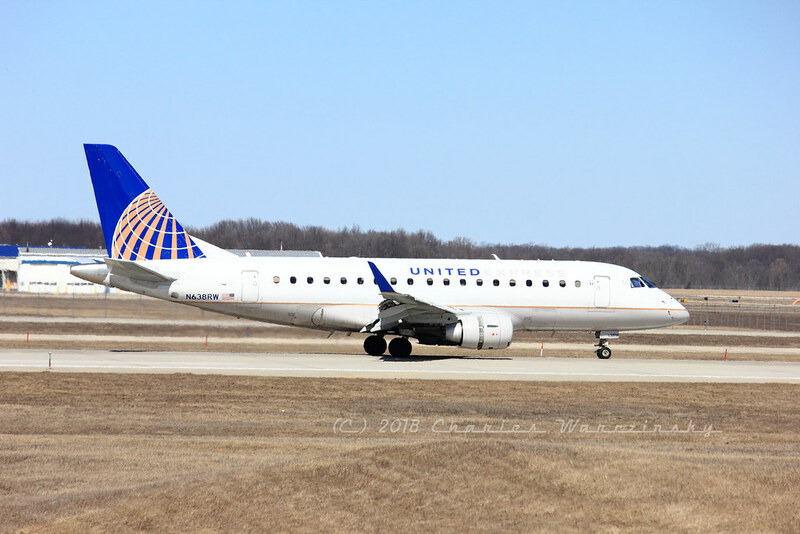 Air Wisconsin, one of United’s partners. 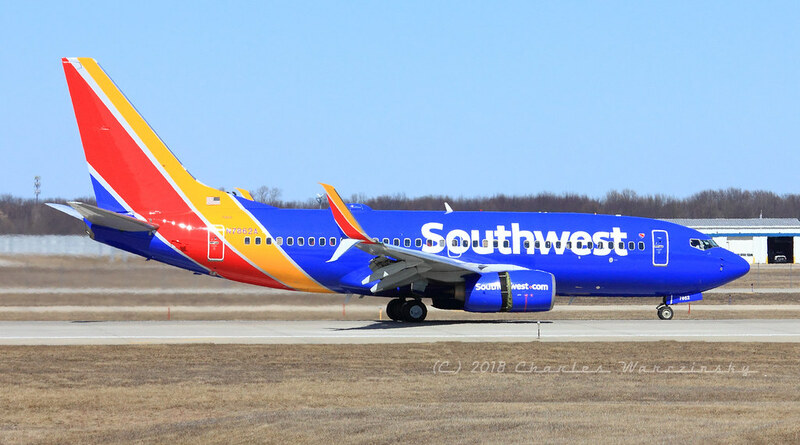 Southwest had a couple flights in/out while I was watching, although I haven’t processed/uploaded shots of every flight I observed in my time in the park. 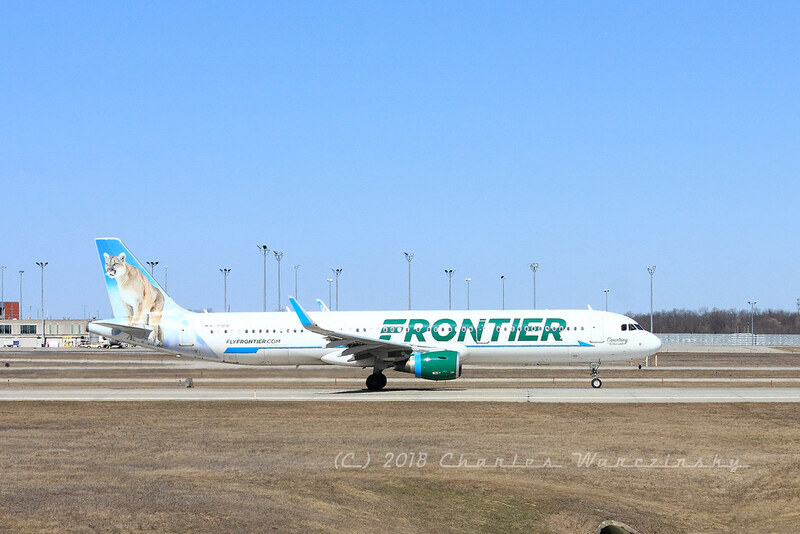 One of the neater things I got to see that day was this Frontier A321 arrive and depart. As I go through the images I’ve processed and uploaded, I’m finding that I have a ways to go in the process of uploading these images, so I’m going to leave the rest of the images for a future post or two. If you’re coming here just for the trains, please bear with me. 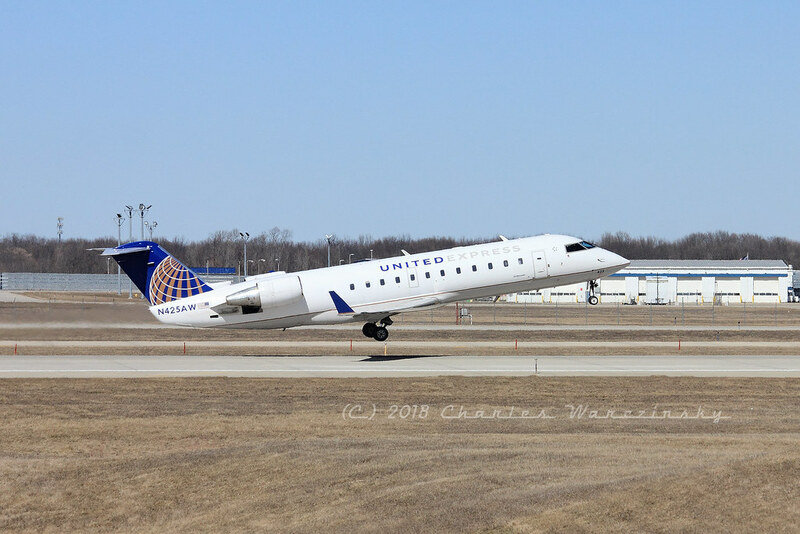 I have plenty of train material coming as well, but…there’s just something about that moment when an airplane hits the rotation velocity and the wheels leave the ground that I can’t get enough of. So…until next time, take care.